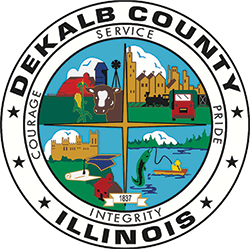 Friday, April 19th, most DeKalb County Offices will close at 12 p.m. for Spring Holiday and will reopen for business on Monday, April 22, 2019. Volunteer for Trail Clean Ups on April 20th! DeKalb County Forest Preserve District is asking for volunteers to help the Sycamore Lions Club clean up the Great Western Trail or help the Kishwaukee Kiwanis Club clean up the DeKalb/Sysamore Trail. Read on form more information. Christine J. Johnson, DeKalb County Treasurer, would like to remind mobile home taxpayers that the April 30th, 2019 mobile home tax bill due date is approaching. Saturday, May 4th at the DeKalb Taylor Municipal Airport, located at 2200 Pleasant St. DeKalb, IL 60115 from 9am to 12 pm. More information is on the posted flyer. See you there! To celebrate, the National Association of Counties (NACo) is proud to present a resource for children to learn civics at an early age. Download your copy today! The DeKalb County Sheriff’s Office is warning the public of a telephone scam that purports to be and appears on caller I.D. as (815)-899-0757 which belongs to the Public Defender’s Office and then asks the citizen to call back at (815) 880-7322. Read More about this scam. Register your child now for summer day camp! Choose from five week-long programs, each with a different theme. Camp will run from 9 a.m. to 3 p.m. each day. Children will have fun learning about nature through hands-on activities, games, and nature awareness. Camps fill quickly and space is limited to 20 children per camp so register now! Individuals interested in taking the examination should contact Robin Brunschon, at 815-895-7120 by 10:00 a.m. of the day before the examination to register.